Hello dear rose friends after celebrating Sinterklaas yesterday with some of my Dutch family… how privileged I feel to have connections with such lovely traditions which are still celebrated more than 60 years after my parents migrated to Australia from Holland. I promised to give you some tips for managing your roses through summer and I guess one of the most important tasks is to dead-head the roses regularly – take secateurs and a bucket of water with you EVERY TIME you go to the rose garden. Removing spent blooms will encourage a new flush of blooms more quickly and keep the rose bushes looking tidy – the new growth is sure to be healthy too! Because you’re regularly dead-heading the bushes, you MUST fertilize them to be sure healthy foliage remains prolific and disease resistant – remember, more healthy foliage, more flowers! We use and recommend Complete Organic Fertilizer which is available from our Rose Farm at Clonbinane – source a quality product in your locality! By regularly feeding the soil, you’re sure to be rewarded with continual flowering! Mulching is imperative now that summer and hot weather is imminent! We’re using pea-straw again this year – I prefer a few peas rather than the hay/straw weeds which tend to dominate and I think might rob the soil of nutrients rather than enhance the soil! Watering your garden is NOT difficult but it is one of the most misunderstood areas of maintaining a healthy, robust and free-flowering rose garden! Please water DEEPLY and LESS FREQUENTLY! 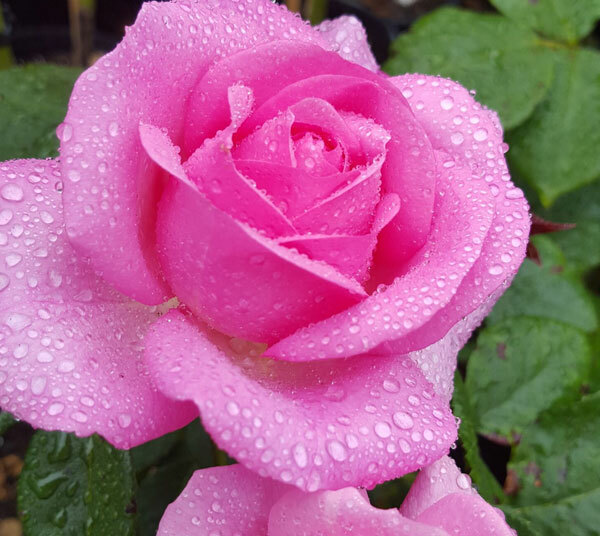 Once a week in most weather conditions is more than adequate – give each rose bush at least 20 litres of water delivered at the same time – that’s just two buckets of water once a week. In extremely hot weather, do this twice a week. Check what amount of water is delivered by your drippers/shrubblers or stand at the tap with a 10 litre bucket and time how long it takes to fill the bucket … if you hand water, you’ll know how many seconds to stand and water each rose. This is SO IMPORTANT!!! 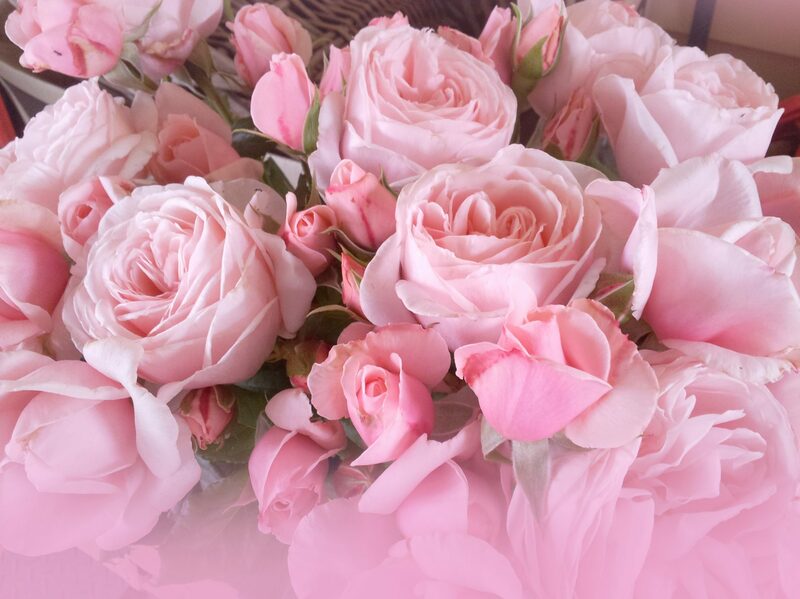 is the most beautiful and long-lasting in a vase as a long-stemmed rose. 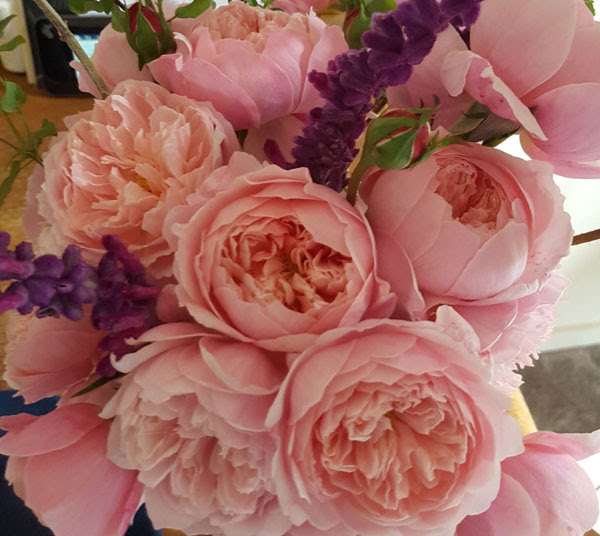 (Please note THE ALNWICK ROSE is SOLD OUT for this season – we grow it as a short border and it always produces lots of lovely long- stemmed bunches of roses for a vase!) The others will fall and shatter within 48 hours – even when picked at bud stage! Q: What did the cat say when he lost all his money? A: I’m paw! 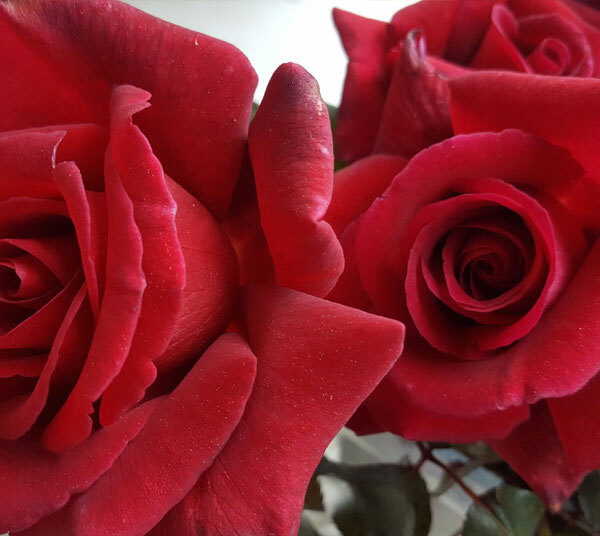 THREE SPECTACULAR ROSES THIS WEEK – WOULD BE NICE CHRISTMAS GIFTS TOO! 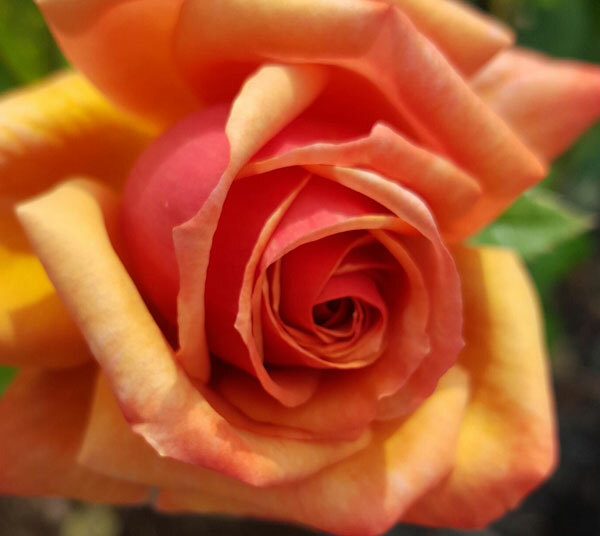 Hybrid Tea rose with a delightful confection of colours including burnt orange, amber and beige with burnt red edges. Modern Shrub Rose of extraordinary health and vigour as a pleasant reminder of the hero in your life! Yes, a gentle reminder that Christmas is looming – last roses will be posted from Clonbinane on FRIDAY, 14TH DECEMBER; posting will resume on MONDAY, 14TH JANUARY 2019. Enjoy the peace and quiet in your garden … until next week, best wishes from the team at Silkies Rose Farm, Clonbinane.